Roman V. Yakovlev, professor at the Faculty of Biology of Altai State University, published a monograph in the framework of the book series “Insects of Iran” together with Iranian entomologist Helen Alipanah. The work entitled “The list of Lepidoptera in Hayk Mirzayans Insect Museum of the Iranian Research Institute of Plant Protection. 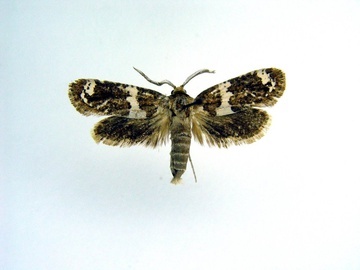 Lepidoptera: Cossidae" was published by the Ministry of Agriculture of Iran and the Iranian Institute for Plant Protection. “The research of an economically important group of insects, the carpenter moths, is extremely important for the territory of the Middle East. We have been working with Iranian colleagues for more than ten years, during which we have published several joint articles. In early 2019, our small monograph on the fauna of Iran was published. There is another major report on the Middle East, which will be published in New Zealand in the form of a monograph. Working together with a specialist from Tehran Helen Alipanah is very nice. She is a very attentive to detail and well educated entomologist. The publication of joint work is also relevant for the preparation of joint projects. We have already written application for the project with Helen, but were not supported due to the lack of groundwork. Now our chances in this direction are significantly increasing,” Roman Yakovlev commented.